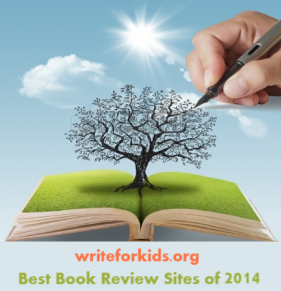 This review reflects my own opinion and not that of the 2015 Cybils Committee. 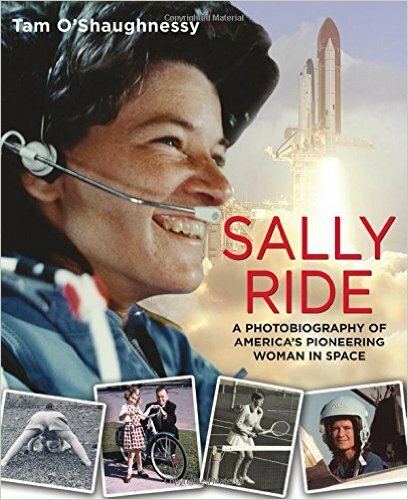 The story of Sally Ride is lovingly shared by her friend and life partner, Tam O’Shaughnessy. The two met when Sally was thirteen and Tam was twelve. Tam and Sally would remain friends until they became a couple in 1985. O’Shaughnessy fills the book with personal stories about Sally’s youth, her time as a tennis player, her college years, being the first woman in space, and her life after NASA. While working on her dissertation on free-electron lasers while at Stanford, Ride got astronaut fever when she saw an add in the student newspaper. For the first time NASA was recruiting women to join the astronaut training program; Sally, someone loved physics because it explains everything. In August of 1977, Sally received e a phone call from George Abbey, director of sight operations at Johnson Space Center. With the explosion of the space shuttle Challenger, Ride knew it would be a long time before she could go on another space mission. She retired from NAS to begin a quiet life as a college professor. In 2001, Sally and Tam started the company, Sally Ride Science. Our goal was to bring science to life through science events and books. We wanted to show young people that science is fascinating, creative, and fun; and that the women and men working in science are regular people who come from all walks of life. Sadly, Sally Ride passed away from pancreatic cancer on Monday, July 23, 2012. She will forever be remembered as the woman who broke gender barriers to be the first American woman in space; was confident and hardworking with a great sense of humor; an inspiration for girls and boys to be themselves, to be courageous, and to reach for their dreams. This is a photobiography. O'Shaughnessy packs the book with lots of photographs and personal memorabilia, all well-captioned, that enhances the reading experience. There is only one very minor design flaw; when the type is placed against a red background the narrative difficult to read. Back matter includes a cast of characters, timeline of Sally’s life, and index. Watch a short video by National Geographic on Sally Ride.